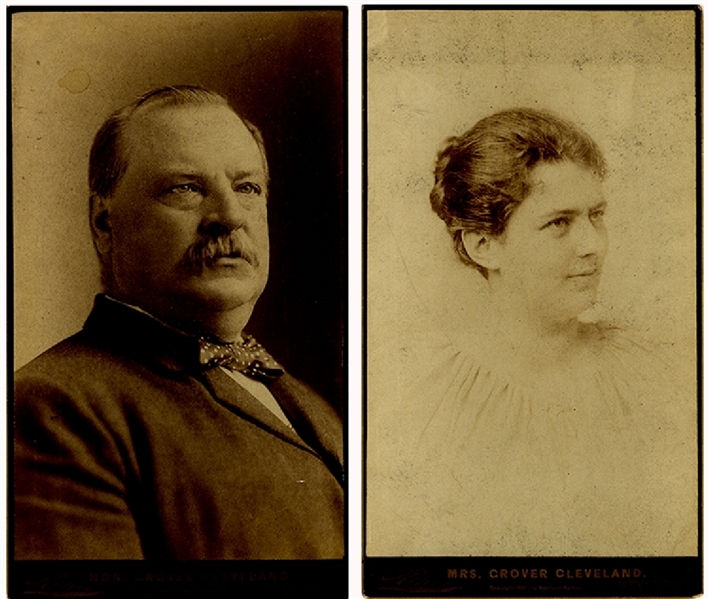 Super rare pair of "Panel Size" photographs of Grover Cleveland and his wife Francis Cleveland. Each image measures an astounding 7 1/2" x 13", Sarony, NY photographers imprints. What makes these even more special is they both have copyright dates of 1892, the year Grover was running for a second non consecutive chance for the the Presidency, which he did win. Both images are in fine condition, with the Francis image having some light soiling in the top field. Panel card images, especially of famous personalities, rarely appear on the market.